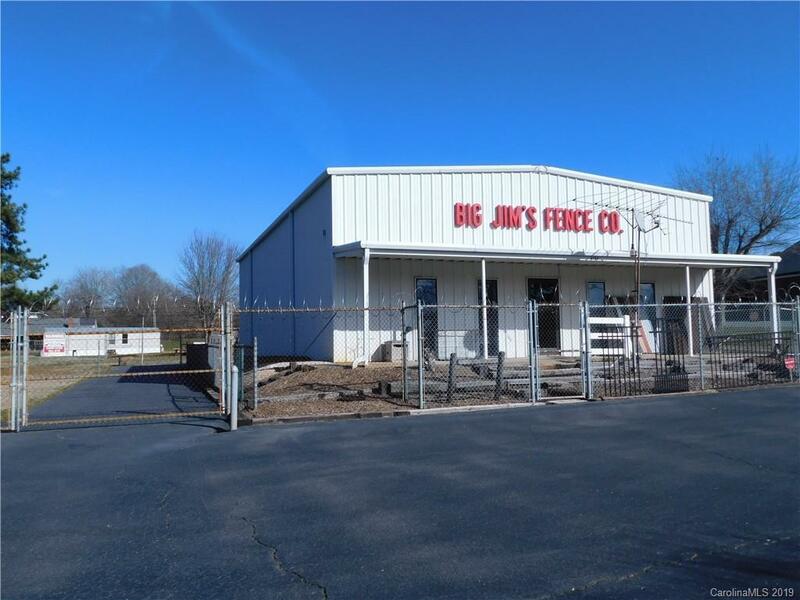 IMMACULATE commercial building, over 2400 with half bath. Two 12x12 roll-up doors. Metal frame, siding and roof, well insulated. 14 Foot ceiling at walls to 16 center. Open floor plan, easy to close in office or showroom. Totally fenced and cross fenced. 1999 Oxford 14x46 Mobile home with separate septic system, 2BR 1 bath, heatpump. Has been rented, needs some work. Plenty of storage for a variety of business. Greenhouse frame can be moved.